Recep Tayyip Erdogan is used to winning elections — he served as Turkey's prime minister for three terms from 2003 and then as president since 2014. He narrowly won a referendum last year that will scrap the role of prime minister and create a powerful executive presidency. But a new election is needed to trigger those powers, and if Erdogan wins, Turkey will see an even more muscular strongman at its helm. What are Erdogan's chances of winning? Pretty good. 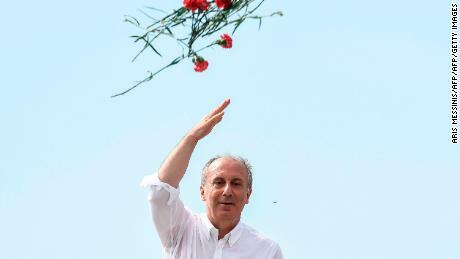 Erdogan is leading in the polls — but in Turkish politics, nothing is a sure bet. Erdogan has some clear advantages. A government crackdown on the media following an attempted coup in 2016 has meant that Erdogan and his ruling Justice and Development Party (AKP) dominate the airwaves and get the most ink. Vocal critics have been imprisoned, and the President has appointed pro-government officials to the election commission. But there is a strong opposition and most polls indicate the vote is likely to go to a runoff round. Opposition candidates have also found their own tools. They have harnessed the power of new media to get their message across, and there are genuine competitors on the ballot offering genuine alternatives. While Turkey's election may not be an even playing field, votes are not routinely rigged in the country and voter fraud is minimal. As the prominent Turkey analyst Asli Aydintasbas wrote, "Turkey is not Russia." 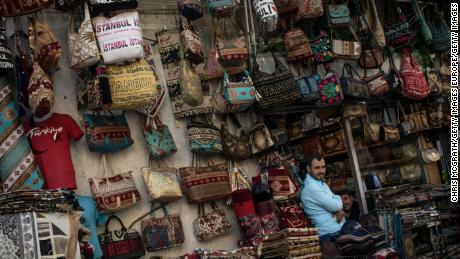 The economy: Erdogan has long relied on his economic achievements to win elections, but that won't be so easy this time around. The Turkish lira has hit all-time lows, inflation is on the rise and the robust growth of recent years is expected to slow dramatically. The Kurds: The Turkish army has been fighting the separatist Kurdistan Workers' Party (PKK), deemed a terrorist organization, for nearly four decades. Erdogan's AKP has ruled out returning to a peace process that collapsed in 2015, and the Turkish military, meanwhile, has intensified assaults on PKK strongholds in Iraq's Qandil Mountains ahead of the vote. At the same time, Turkey's Kurdish population, particularly in the southeast, is a vital constituency for Erdogan. 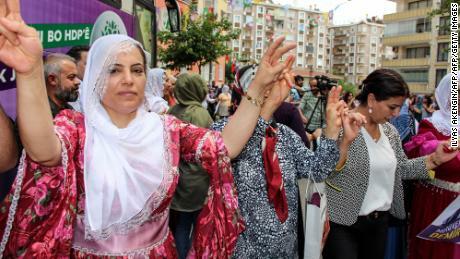 Their vote tends to split between his AKP and the pro-Kurdish HDP. But the AKP's recent alliance with the nationalist MHP, which takes a hard line against the Kurds, could alienate this key base. If the HDP gains at least 10% of the vote, it will pass the threshold needed to give it a presence in parliament, and that could mean it deprives the AKP of its parliamentary majority.Syria: The large number of Syrian refugees living in Turkey has also become an election issue. Several parties have said they hope to send Syrians back to their country, though they are careful to say they will do it only after the war is over and they emphasize the importance of peace-building there. Turkey's involvement in the Syrian war, as well as its continued fight with the PKK, has inspired acts of terrorism in the country in recent years, another concern for voters. Who's in the running for president? The HDP's Selahattin Demirtas is leading his campaign from prison, where he has been remanded since November 2016 following the failed coup, for what his party calls politically-motivated terror allegations. He is accused of supporting the outlawed PKK. Members of parliament from Demirtas' party have also been jailed or removed from their posts due to alleged terror affiliations. Demirtas' campaign has focused on improving quality and diversity, and his only public appearance in the campaign period was a 10-minute pre-recorded speech on Turkish state broadcaster TRT, which every candidate technically has the legal right to use. 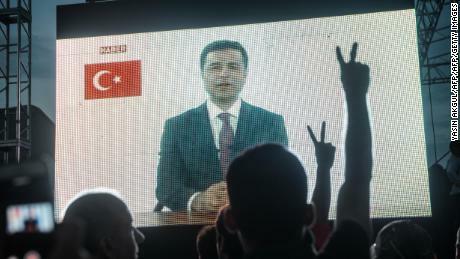 In his speech, a visibly skinnier Demirtas called on Turkish voters to unite against Erdogan, and also criticized the President for threatening to bring back capital punishment after the failed coup. After the vote, the position of prime minister will be dissolved and all its powers transferred to the president, a role that had traditionally been ceremonial. One key change is that the president will have the power to issue decrees — in other words, create laws unilaterally. 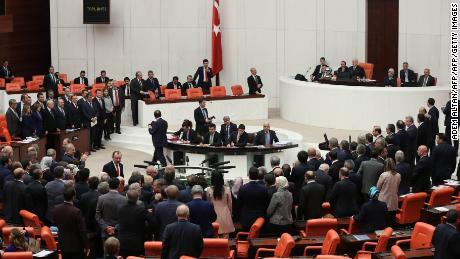 Erdogan has been able to issue decrees over the past two years only because his government placed the country in a state of emergency following the failed coup. But he may not be able to keep the country in that state for much longer, so the new system would give him a way to retain that power, should he be reelected. Turkey's executive government will look a lot like the United States'. The president, for example, will have the power to appoint cabinet ministers directly. In the past, only members of parliament were allowed to hold cabinet positions. The president will also be able to appoint a number of officials to a supreme court board, which is in charge of selecting judges and prosecutors. Controlling that body could mean influence over the courts. CNN's Isil Sariyuce contributed to this report.